Welcome to the PESSFTC official website. Entries accepted through Hunt Secretary - Each event is separate. 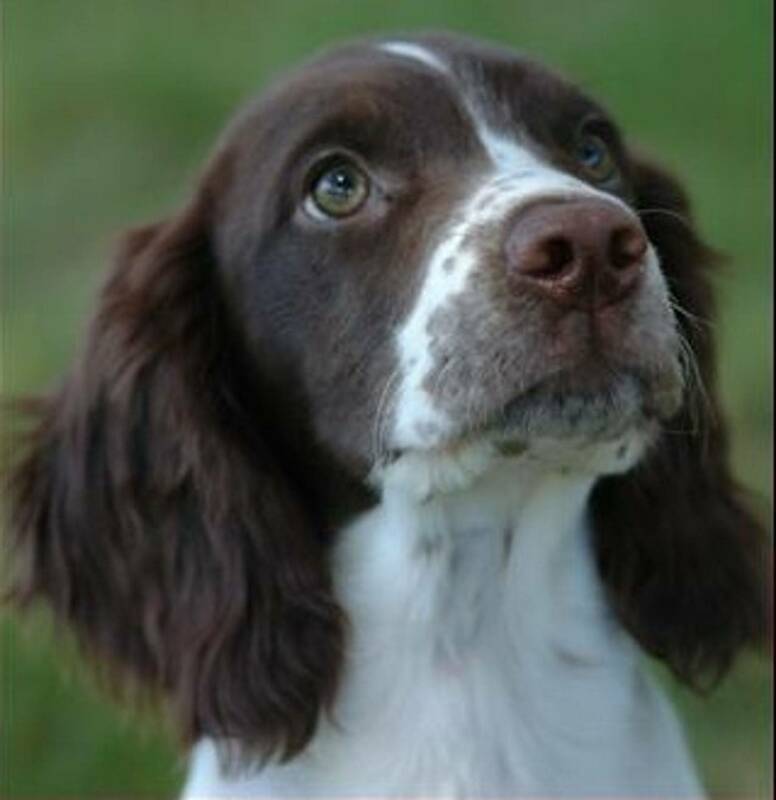 We are Licenced by the AKC to hold English Springer Spaniel Field Trials and Hunt Tests that are open to all flushing spaniels. Our hunt tests are now open to a variety of breeds including Labs! We like to have planned training days the second Sunday of the month or more frequently as folks want to get together. Additionally, we have a summer picnic / training day usually in August. Please see our calendar for upcoming events! 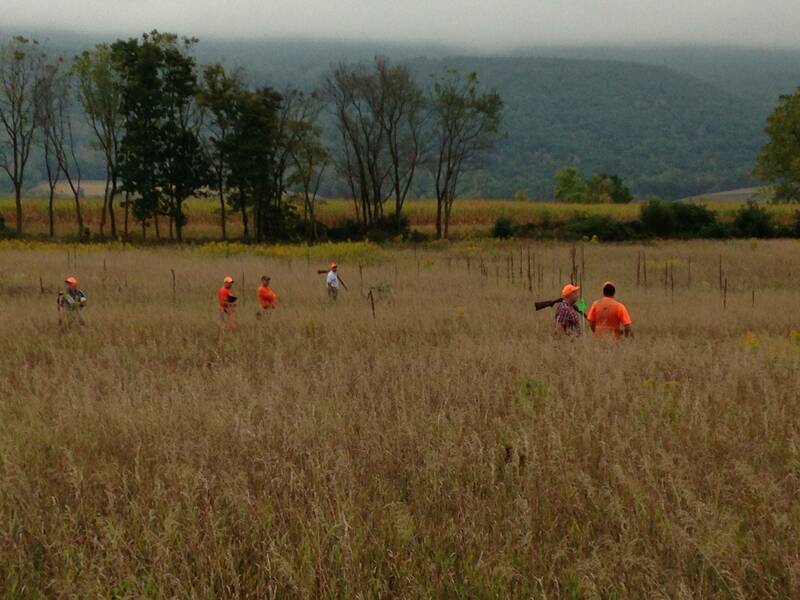 We encourage new members and others interested in upland traditions to attend field sporting events in their area. Please drop us an email if you would like more information on events or associations near you. Please see our calendar for upcoming events sponsored by the Pittsburgh club. So what is a Field Trial? Terminology...Ok so what does this all mean? AFC - Acronym for Amateur Field Champion. Awarded in American Amateur field trial stakes and designated in front of a dogs registered name. AKC - Acronym for the American Kennel Club. At the ready - A dog will be called to be "at the ready" usually if he/she is within the next 2-3 dogs about to participate and be called to the line. Birdy - The act of increasing drive and excitement as a dog identifies game scent. Blinking - (Blinking a bird) Reluctance or hesitation to flush a bird - a flushing dog with a tendency to point. Blue Dot - A business band of radio frequency (154.570 MHz) used at a trial for communicating information primarily from the marshal. See also marshal and Green Dot. Brace - To work your dog with another in tandem. Field trials are run on two side-by-side courses which would be considered "working a brace." Center Line - The marked (usually by flags) area between courses during a field trial. When running in a brace, dogs are not permitted to cross this line after a bird without approval of the judges. CFC - Acronym for Canadian Field Champion. Awarded in Canadian field trials and designated in front of a dogs registered name. Chasing - Unsteadiness primarily during the flush where the dog doesn’t hesitate to sit. See also Break and Steadiness. Check Cord - A long lead used primarily in training in order to correct a dog at longer distances. CKC - Acronym for Canadian Kennel Club. Downed Bird - A bird that has been harvested and is ready to retrieve. Fall area - Area in which the bird came down once shot. FC - Acronym for Field Champion. Awarded in American Open field trial stakes and designated in front of a dogs registered name. Gallery - Onlookers made up of either participants or spectators. Usually the gallery is instructed on where to stand in order not to interfere with the event and for safety reasons. Most events the gallery follows behind the marshal. See Marshal. Gun Sense - The ability for a dog to utilize the direction of the gun to aid in marking. Guns - The designated shooter or team of shooters for the trial or hunt test. Also called left gun, right gun, or gunners. Hard Mouth - Crushing or chewing on the bird by the dog whereas it is not suitable for the dinner table. Handled - The method by which a dog is directed. Honor (Honoring) - The act in which a dog remains steady in the field while another dog retrieves game. Hunt Dead - Method by which a spaniel is casted or handled to a general fall area. This is in order to hunt a downed bird in which the neither handler nor dog know exactly the location. JH - Acronym for Junior Hunter. Awarded in American hunt tests and will follow a dog’s registered name. Lead - (pronounced Leed) Also known by slip lead. A rope style leash that slips over the dog’s head and used as both a leash and collar. Marking - The ability for a dog to mark the fall zone or general direction of the birds fall. MH - Acronym for Master Hunter. Awarded in American hunt tests and will follow a dog’s registered name. NAFC - Acronym for National Amateur Field Champion. Awarded in an American National Amateur Field trial and designated in front of a dogs registered name. NCFC - Acronym for National Canadian Field Champion. Awarded in a Canadian National Field trial and designated in front of a dogs registered name. Quartering - (to quarter) The method in which a dog covers his ground. Usually a flat pattern to the left and right of the handler. See also working the wind. Retrieve - (Marked, Blind, To Hand) Marked retrieve is one that the dog has seen general fall zone/direction. Blind retrieve is one that the dog has not seen the general fall zone/direction and has to be handled. Retrieve to hand is when the dog eagerly returns the bird to the handler without having to use excessive reach or stepping towards the dog. Runner - A bird that is reluctant or unable to flush and runs ahead in front of the dog. SH - Acronym for Senior Hunter. Awarded in American hunt tests and will follow a dogs registered name. Shagging / Shagger- Individual responsible to follow behind the judge and collect the game. Shuttles - Carriers on ATV's used to transport dogs from the parking area to the gallery. Soft - The characteristic of a dog that will not respond well to harsh discipline. These dogs sometimes are more biddable, but consideration should be taken while training. It may not take much to correct a soft dog. Steadiness - The ability of a dog to remain still either standing or sitting until given additional direction to retrieve, continue hunting, or return to the handler. Can be steady to the flush, the shot, or while honoring another dog. Sucker Bird - A low flying bird or bird that will not get up an fly. These birds can sometimes tempt even the best dogs into breaking due to the dogs desire to produce the game in the air. Trapped Bird - A bird that is caught on the ground or during the flush by the dog. Volunteer - Game that flushes on its own without the dog putting it up. Winding - The ability for a dog to catch scent of game in the air and commence to hunting said game. Working the wind - The method in which the dog should quarter for the handler. There are many different ways in which a dog should work the wind depending on wind direction, terrain, and scenting conditions.